If you’re ready to purchase vinyl siding for your home, you’ve probably already thought about which color or colors you’d like, how wide you’d like the boards to be, and maybe even whether or not you’d prefer a clapboard or Dutch lap profile. But have you considered what to put underneath your new vinyl siding? That’s right, I said underneath. Much like the quality of a finely tailored suit is diminished by a cheap pair of shoes, so to is the durability and insulating value of vinyl siding without the proper underlayment. It’s not as much fun as buying the vinyl siding itself, but spending a little more on a higher quality underlayment will provide a significantly higher degree of insulation, better sound proofing, better moisture vapor flow (to prevent water damage), and greater impact resistance (from wayward baseballs and bad weather). Because it rests snugly beneath the vinyl siding, filling in the natural gaps and making the exterior vinyl naturally more rigid, contoured insulation is by far the best investment you can make. Contoured insulation also helps to produce a straight, even vinyl siding installation, which can mean many more years of beauty. If you have an older home with insulation that has long since stopped performing, contoured insulation as an underlayment to your vinyl siding is a perfect way to have your cake and eat it too. Instead of drilling holes in your exterior wood for an extruded foam application, or having to patch interior holes in your drywall from blown-in insulation, contoured insulation beneath your new vinyl siding can provide superior energy efficiency. 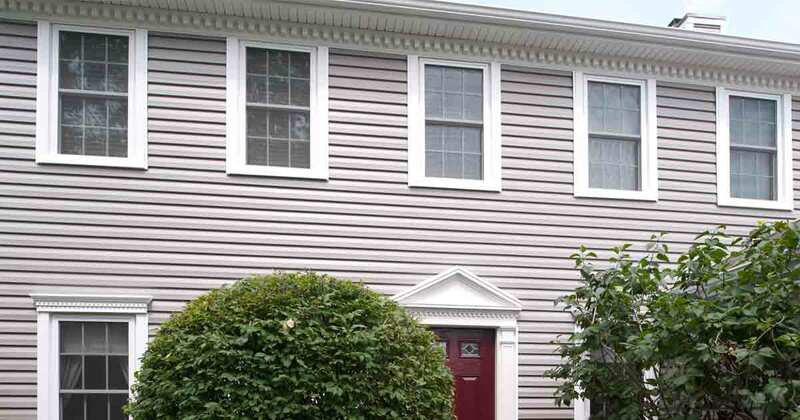 One of the most important parts of a vinyl siding exterior home remodel isn’t necessarily the prettiest, but the extra investment up front can pay off for many years to come. 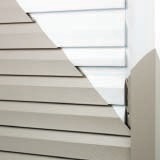 Find out how Fullback Insulated Underlayment, which is specially engineered to fit behind Unishield Premium Vinyl Siding from Universal Windows Direct, can add greater protection and insulation to your Northeast Ohio home’s exterior by calling 216-518-8900, or 1-800-9-TILT-IN (984-5846).